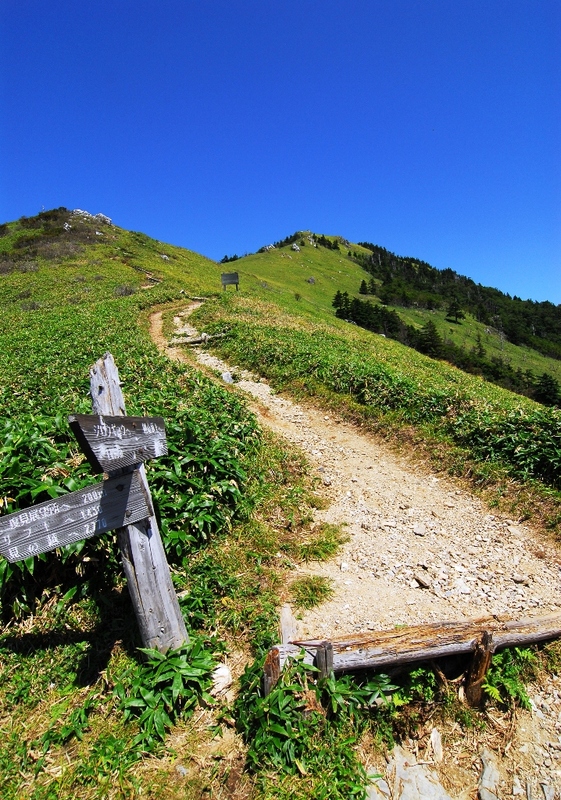 The second highest mountain in western Japan at 1,955 meters elevation boasts excellent scenery and you can see as far as Kishu area, the Seto Inland sea and even Cape Ashizuri in a fine day from its summit. Its panoramic view is breathtaking and the sea of clouds are very magical. You can find beautiful alpine plants when in season, such as Kirengeshoma palmata. The name, Tsurugi meaning sword, originates from the legend that sword of the Emperor Antoku was hidden deep within these remote mountain. It is also known as the sacred mountain for mountain pilgrimage.